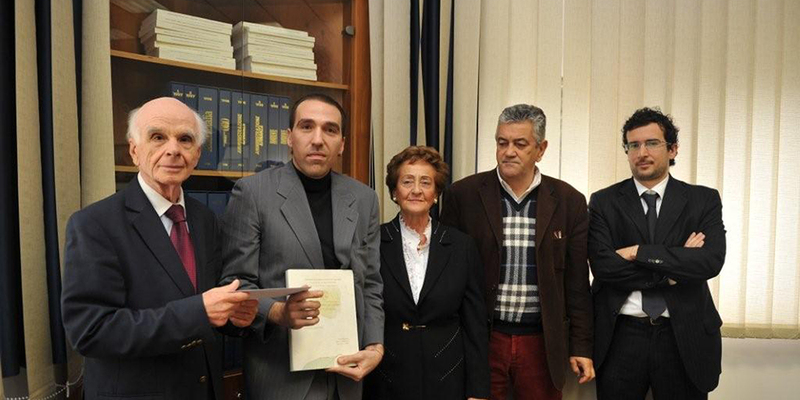 • Special Jury Award (2015), 10th National Philosophy Prize Premio ETS Sainati. • 1st National Prize (2012), 6th National Philosophy Prize Le figure del pensiero – Section G «Practical Philosophy». • 1st National Prize (2010), 1st Italian ONU Earth Charter Competition. • 1st National Prize (2009), 49th Competition I giovani nella vita pubblica del Paese. • Special Jury Award (2009), 1st Competition Darwin: passato e futuro. • Best Paper Award (2011), McLuhan Galaxy Conference 2011 Panel 5 (The Global Big Bang). • Human-Animal Studies International Development Fellowship, € 2,000, Università degli Studi di Milano (2014-2016). • PhD Scholarship, € 12,424 per year, Università degli Studi di Milano (2010-2013). • Travel Grant, € 500, League of European Research Universities (LERU) Bright Conference 2013 (August 2013). • Visiting PhD Student Scolarship, € 500 per month, Università degli Studi di Milano (2012-2013). • Travel Grant, € 200, 1st International Minding Animals Italy Conference: The Emotional Lives of Animals (May 2012). • Travel Grant, € 500, C.R.E.A. Conferenza Regionale sull’Educazione Ambientale (November 2011). • Academic Grant, €3,690 (2011-2012). • Travel Grant, € 250, 39° World Environment Day Conference Mantova Events (June 2011). • Travel Grant, € 150, Scuola Estiva di Alta Formazione in Filosofia ed Etologia Umana (June 2011). • Travel Grant, € 200, McLuhan Galaxy Conference 2011 (May 2011). • Travel Grant, € 100, Confini aperti: sul rapporto esterno/interno in biologia (February 2011). • Dissertation Fellowship, € 2,000, COGEME, Earth Charter International Affiliate (2010). • Research Fellowship, € 800, Italian Minister of Instruction (MIUR) and Comune di Viareggio (2009). • Academic Grant, € 1,200, Collegio di Milano, Inter-university interdisciplinary campus of excellence (2009-2010). • Academic Achievement Scholarship, € 4,100 per year, Università degli Studi di Milano (2005-2009). • Executive Editor, Relations. Beyond Anthropocentrism, international peer referred journal. • Editorial Manager, International Journal of Transmedia Literacy, peer referred journal. • Ph.D. Students Representative, 2012-2016, Università degli Studi di Milano, Milan. • Associate Editor, Animal Studies, international peer referred journal. • Associate Editor, Fenomenologia & Società, national peer referred journal. • Chair, “Intrinsic Value. Metaethical Presuppositions and Commitments – Reading Group”, 2013-2014, Università degli Studi di Milano, Milan, Italy. • Organizing Committee, Cognition, Philosophy, and the Moral Standing of Animals, promoted by the Humane Society University and the Animals&Society Institute, May, 15th, 2014, Università degli Studi di Milano, Milan, Italy. • Organizing Committee, L’enigma della Natura, December, 19th, 2013, Università degli Studi di Milano, Milan, Italy. • Philosophy Department Tutor, 2011-2012, Università degli Studi di Milano, Milan, Italy. • Chair, “Working Group 7 – Commitment and Participation”, League of European Research Universities (LERU) Bright Conference 2013: Energy Transition in the 21st Century, August, 12-16h 2013, University of Freiburg and University of Strasbourg, Germany and France. • Organizing Committee, 1st International Minding Animals Italy Conference: The Emotional Lives of Animals, May, 12-13th 2012, Università degli Studi di Genova, Genoa. • Organizing Committee, 1st National Research Centre for Pure and Applied Philosophy – Doiè Confernce: Workshop on Ethics, June, 14th 2012, Università degli Studi di Milano, Milan. • Organizing Committee, Seminari Cibo & Pensiero, October, 20th-December, 15th 2011, Mens@Sana, Milan, Italy. • Chair, “Paper Session C1 – McLuhan And The Global Village”, McLuhan Galaxy Conference 2011, May, 25th 2011, Universitat Pompeu Fabra, Barcelona, Spain. • Project Manager HORIZON2020 at Techinnova Srl (2014-2016).